Summary: 4K video is characterized by the resolution of 3840 x 2160 pixels. To play such a video you have to use professional 4K player. Here are our choices for the best 4K video players in 2019. Since, things change a lot in just a couple of months such as new CPUs, the new GPUs and so on depending on the product cycle of various brands of hardware and firmware that goes into the computer, the software that runs on them have to be optimized accordingly. In the same way, industry standards change with time and file formats for sharing media change too. These days, 4K or 4000k pixels across the monitor is the norm. The exact resolution of 4K UHD screen in the market as produced by Samsung, Panasonic, Sony is 3840 pixels x 2160 lines of rows down the screen which is equivalent to 8.3 megapixels of information sprayed over the screen uniformly. This means it has a lot of details and image viewing is a pleasure for large screen viewing such as 5i-inch TVs and so on. This is around 4 times the size of a full HD screen size. In order to be able to play any 4K content, you need a 4K video player too. Any 4K player can be insufficient to handle the stress given the limited resources and thus optimized software is the key. To find a good video player 4K capable playback, it is important to find ones that make use of multi-threading, hyper threading concepts too. Here we list some of them that are equipped with the best features possible on the web. It is not impossible to be unable to find4K video player free download since the technology being used in them to render such high-resolution images seamlessly is pretty new. However, you can find many vendors providing a free trial or a free version of their full package for testing out of your system. Furthermore, they also have packs that allow converting content in full HD or HD to 4K UHD so that you can enjoy watching 4K content on a 4K media player in a 4K monitor. If there is no content, there is no use of purchasing a media player or a 4K screen altogether. This is a media 4K player that has been upgraded to the full capacity based on the latest standards. It can not only play 4K videos, but also 4K UHD, Blu-ray, HEVC and others obviously. The media player by default commits to the most important feature, which is, adapted to the CPU and GPU of the host system. The host system is nothing but the computer or the laptop that you're playing it from. Since the processing of the videos is done on it, the software must be compatible enough to make use of the latest processors and GPUs. Fortunately, DVDFab Media Player has Intel Quick Sync, NVIDIA support for that and it also works in multi-threading parallel to process data in all the cores of the CPU as possible. It is possible to play unprotected 4K UHD Blu-ray ISO files directly through the media player which means that it also has an ISO decrypter. In most of the cases, this has to be taken care by some other software. It has a free license for playing any non-disc content if video player 4K compatible. It is free for trial and is available for Windows 10 with backward compatibility with Vista. It is also available for Mac, so don't worry about it. In case you use a DVD it gives you the ability to view the entire navigation menu from the DVD contents without having to do anything yourself. It also allows you to add, delete and view bookmarks on a 4K video in real-time. It is a 4K video player at best. The main selling point of this 4K player is now that it is a 4K video player free download version, but it is actually completely freely available software developed for both Windows and Mac versions. It is not just free, as in it is also safe without any hidden malware or adware, but additionally clean and bloat free which means that it works seamlessly and does not lag or crash like others. It is difficult to keep a player that, but it does it brilliantly. It can run on any Windows platform from 10 to downwards and Mac Sierra to downwards. This is a 4K and UHD player which mean that it supports playback not just to produce industry limited screens up to 3840x2160 but also real industry production standard 4K that is 4096x2160 resolutions content. The ability to get content at such resolution is not easy, but there are ways to create and convert content from lower HD, Full HD to 4K and UHD for playback. It does not have any choppy or ghosting problems and can playback videos recorded at up to 48 fps and 30 fps for sure. It is not all, it can also playback videos at 4K or 8K, play audio/video in almost every format out there, help and assist you in downloading 4K videos online from places like YouTube, Vimeo and other streaming sites, convert them to a proper file format still in 4K for your smart phone like an iPhone, iPad and many others. 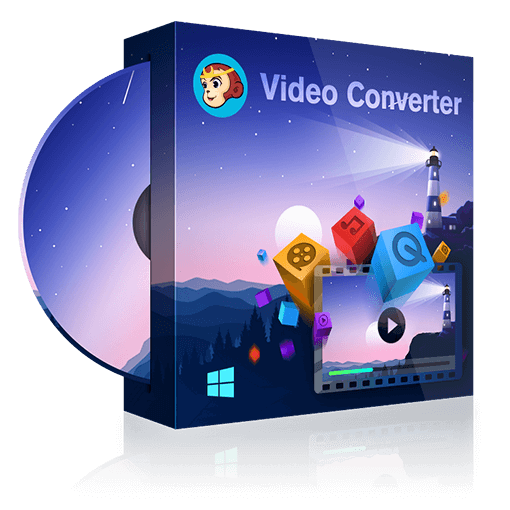 Thus, it is also a full-featured software, the 4K video player that is completely free. Here we introduce you the top 4K videos in 2019, but if you want to create 4K Ultra HD Blu-rays with these videos, you can have a look at how to burn 4K movies.